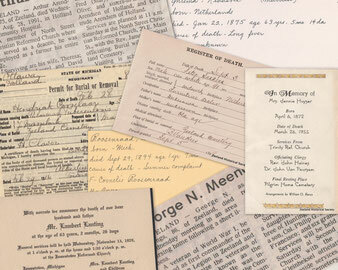 The Zeeland Historical Society has been collecting death records for many years. We are now able to share the information with the public. You will find our death records organized by date added. Therefore, they are NOT in alphabetical sequence. NOTE: Our death records are located outside of this website. Click on a collection of death records. Then click on an image. If you cannot see the caption automatically, press the "i" (Info) at the top right of page. You have our permission to download images. 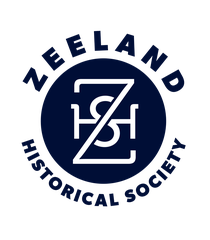 Our only request is that you use "Zeeland Historical Society" as your source.